CA Craigentinny Av. N. LR Lothian Rd. 3 Stenhouse - Gorgie St. - Dalry Rd. - Haymarket - Princes St. - Waverley Stn. - Nicolson St. - Newington Stn. 8 Granton - Granton Rd. - Inverleith Row - Broughton St. - York Place - Waverley Stn. - Nicolson St. - Newington Stn. 17 Granton - Newhaven - Lindsay Rd. - Bernard St. - Constitution St. - Leith Walk - York Place - Waverley Stn. - Nicolson St. - Newington Stn. 23 Granton Rd. Station - Inverleith Row - Dundas St. - Old Town - Tollcross - Bruntsfield Pl. - Morningside Stn. 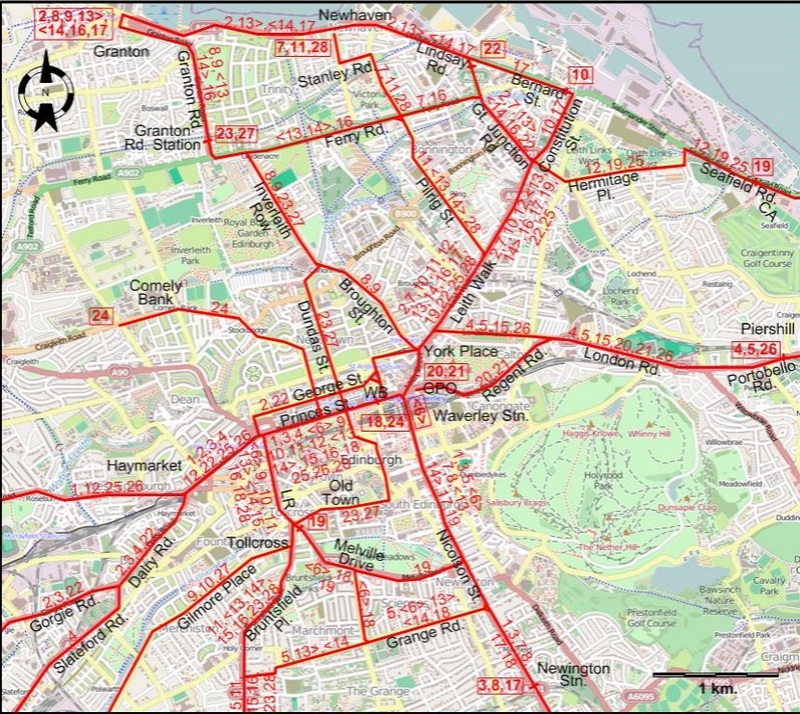 25 Drum Brae South - Murrayfield - Haymarket - Princes St. - York Place - Leith Walk - Hermitage Pl. - Seafield Rd. - King’s Rd. Horse tramways: 6 Nov. 1871 - 1896. Cable tramways: Jan. 1888 - June 1923. 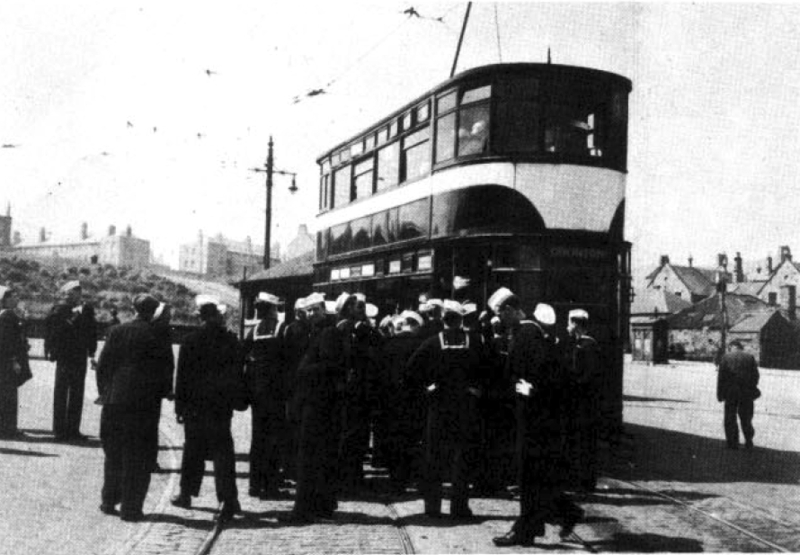 First-generation electric tramway: (Leith Corporation Tramways): 18 Aug. 1905 - ; elsewhere: 1922 - 16 Nov. 1956. Revived tramway: 31 May 2014 - today. Johnston, H. "Edinburgh: They have started the building work" Tramways & Urban Transit, Nov. 2006 (69: 827), p.416-418. Johnston, H. "What we have been waiting for... Edinburgh's almost ready to roll" Tramways & Urban Transit, Feb. 2014 (77: 914), p.57-60. Mitchell, R. "Edinburgh's international face for the 21st century" Tramways & Urban Transit, Nov. 2011 (74: 887), p.442-443.